Who likes Chase, Marshall and Rubble? 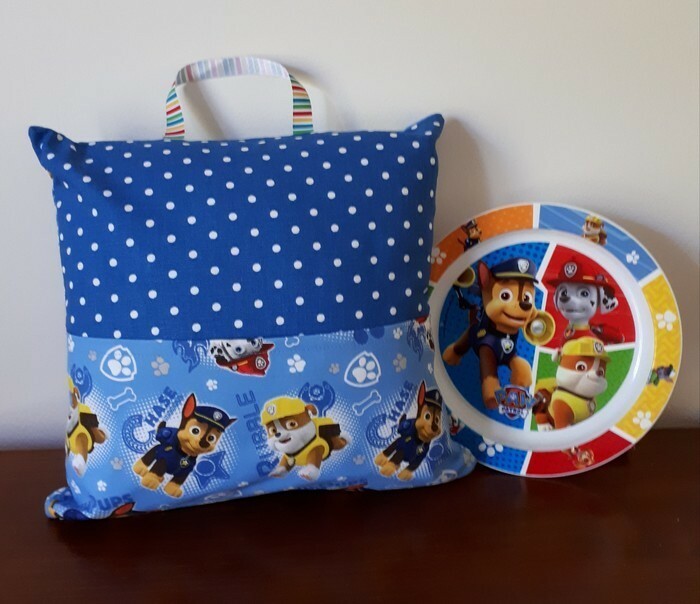 This pocket cushion is ideal to have in bedroom or the car and the ribbon handle makes it easy for little hands to hold and a pocket for their treasures. 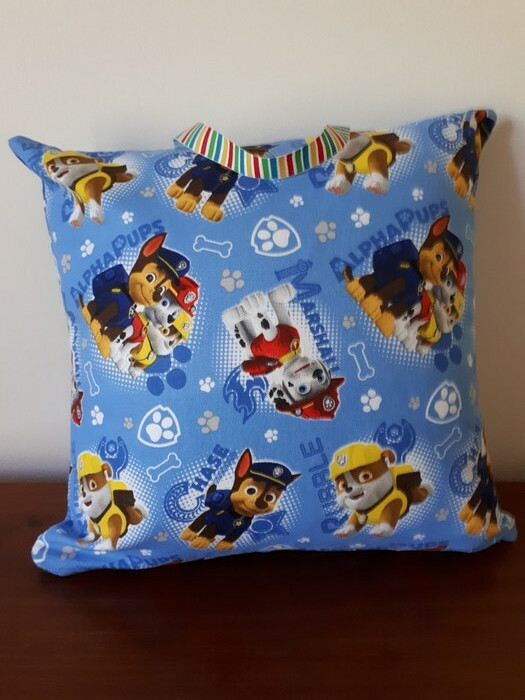 Back and pocket are a bright blue Paw Patrol cotton fabric and a co-ordinating cobalt blue with dots front. Warm iron if required on cotton back.